A U.S. based Excess & Surplus Lines insurance carrier was using various Excel and Access based systems for all its administrative functions, including clearance, underwriting, claims management, issuance and billings. The hodgepodge of systems being used were inefficient and could not keep up with the growing business need for consistent and reliable data. As a provider of commercial property, casualty, healthcare, professional liability, executive and professional lines for customers worldwide, the carrier required a single system to improve underwriting and claim operations and enable effective actuarial analysis. After a year of engagement with an IT consulting firm, the implementation of the carrier’s commercial-off-the-shelf (COTS) solution was over budget and far behind schedule. Not a single line of business could be deployed on that platform. The carrier turned to Xceedance to build competency for implementing the COTS solution internally, with the plan to transition the project from the IT consulting firm and get the project back on track and on budget. Xceedance set up a Testing Center of Excellence with knowledgeable policy and claims testers. This team was responsible for the functional testing, regression testing and automation of existing and new systems for all the implementations and maintenance activities. The testing center created a structured, business-driven test management approach, including flexible testing techniques. The first release was successfully delivered within six months of the start of the engagement. Seven additional releases were delivered to the client in the next three months. While a variety of solutions were being evaluated and the COTS application was being configured, Xceedance built an interim application to integrate other disparate systems. 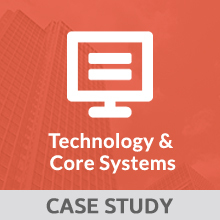 This helped the client remove data inconsistencies and improve business efficiency. It also helped the client’s business teams shape requirements for the new solution. Delivered more than 1000 forms in six months with 70% cost reduction and improved business processes. Provided enhancements and amendments for more than 25 existing and new product lines across E&P, casualty, healthcare, property and workers compensation for North America, ANZ and Asia markets.